If you like chocolate cake and chocolate brownies you are going to love the chocolately goodness of this bar. 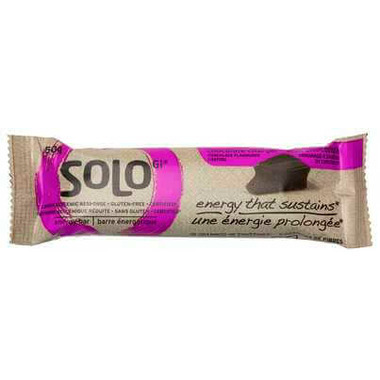 Soft, rich in flavour, and secretly infused with little hints of chocolately cookie pieces, this bar is almost too good to be true. With only 190 calories, you'll have trouble eating just one! 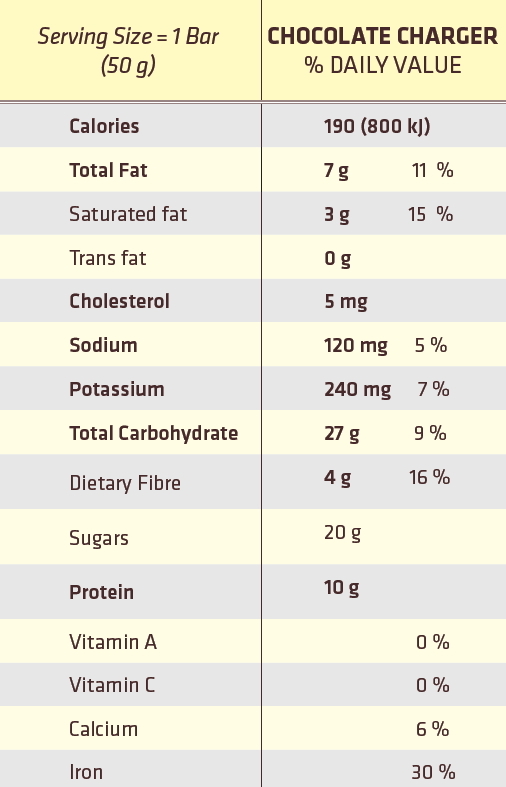 Chocolate Charger Ingredients: Solo GI® protein blend [cocoa soy crisps (soy protein isolate, alkalized cocoa, tapioca starch), whey protein concentrate, whey protein isolate], chocolate flavoured coating (sugar, palm kernel oil, cocoa powder, whey powder, skim milk powder, soy lecithin, natural flavoUrs), fructose, fruit puree (white grape juice concentrate, prunes, dates, fructose), almonds, cookie pieces (sugar, alkalized cocoa, corn flour, corn starch, canola oil, glycerin, salt, natural flavoUr), brown rice syrup, semi-sweet chocolate chips (sugar, chocolate, cocoa butter, soy lecithin, vanilla extract), alkalized cocoa, Solo GI® fibre blend (inulin, oat beta glucan), natural flavours. Contains milk, soy, almond. Manufactured in a facility that also processes tree nuts, peanuts, sesame seeds, egg. Of all the SoloGi bars I've tried, this is my favorite flavor. Gluten-free, too! 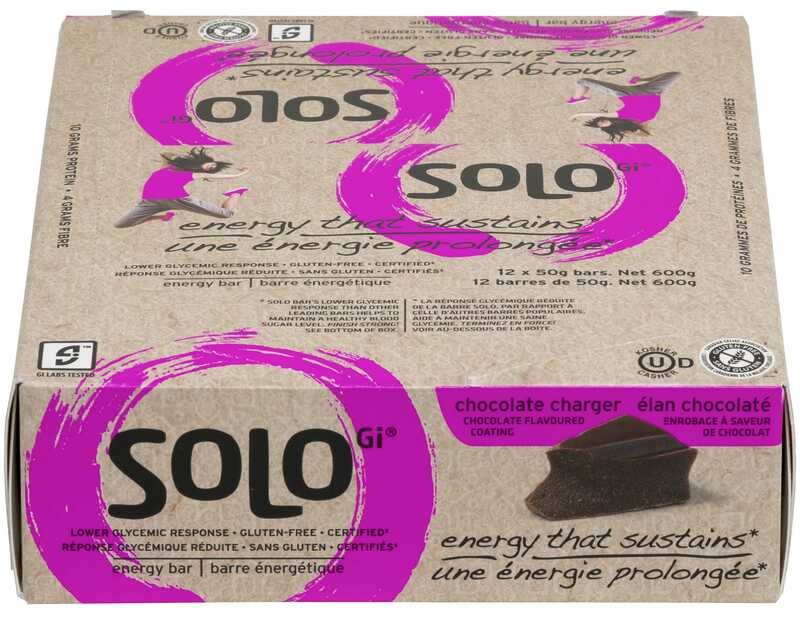 I finally found the best Protein Bar in Solo Chocolate Charger bars. They are a perfect blend of favor and maintaining your energy level over time - they are the BEST!